Feel like going for a post season sail without missing out on the seasons celebratory drinks? 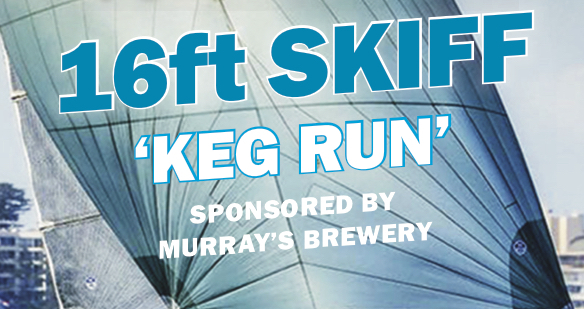 Murray’s Brewery are keeping the beers flowing up at Sail Port Stephens on the 21st & 22nd April for the 16ft Skiff ‘Keg Run’. Although the sound of 6 KEGS is appealing to most, think of the best mates you’ll make by shouting everyone drinks around the bar for two days! The host club Port Stephens Aquatic Club would love it for everyone to come up for the weekend and enjoy their beautiful location and club.